At Locksmith Monkey we want to know how well we are serving our customers. We like to learn from them, for without understanding their needs, how can a Locksmith continually strive for perfection in every way? We believe that the mark of a great Locksmith is in how it strives to make things right if somebody ever feels a Locksmith doesn’t meet and exceed their expectations. So we encourage our customers to post their honest reviews about their experiences with us first at Google Places, Google Plus, Yelp, and Facebook. Below are just a few of the thank you notes our customers have sent to us in the past year. You may also read reviews on Social Media, or please feel free to post your own review. We hope that you will come and be apart of our story very soon. Very happy with our service with locksmith monkey! Called midweek and got them to come out within a couple days to rekey our home. Super helpful writing out the cost for each option for us so we could make an informed decision. Fast and priced fairly! Thanks again! Pleasant, fair price and excellent service, Thank you Locksmith Monkey for being the only locksmith that I will call in the future. Wes was very helpful when we were locked out of our apartment. It was late and we had all of our groceries and he made sure to be quick and update us on his ETA. it was late and I needed a key for a 51 year old bike and they came out at midnight and saved the day. i’ll never call anyone else again, these guys are great. courteous, expert, and genuinely nice folks. thx! 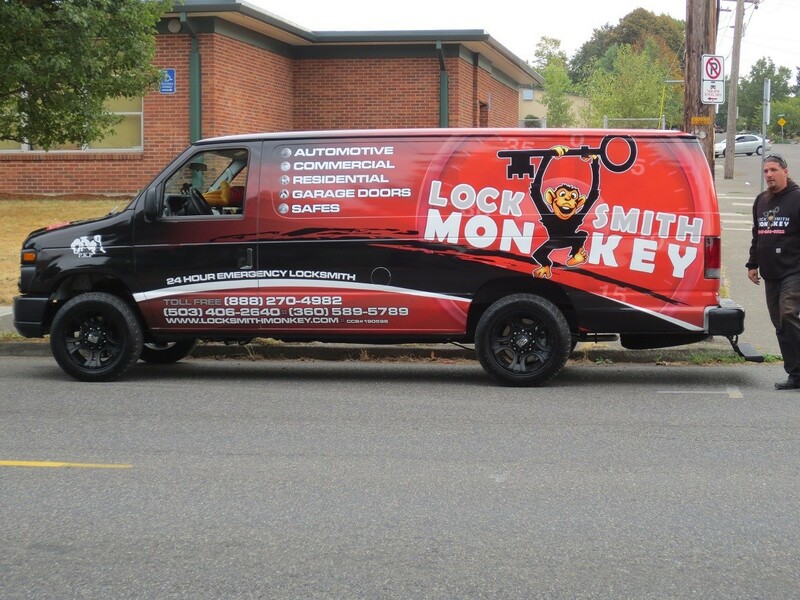 I had an excellent experience with Locksmith Monkey. They fixed my condo door lock on short notice, in the evening. I’d highly recommend them! I’m sold. these guys did me a huge favor. Courteous, expert, reasonable… I’ll never call or go anywhere else in PDX for keys again. Thx Barack! Quickly responded to my call for help after getting locked out of my car on a rainy evening. I would definitely recommend them! I called at 8pm, my call was politely answered and a time was made for service to the front door of a 1917 home with an unusual lock. Ilan arrived on time, was professional, calm and confident.He repaired the lock and the part that was not made any more!He also is pet friendly!! Wesley made a very stressful situation, being locked out of my garage, one in which I felt assured and confident that he would get the job done. He is excellent at being thorough, kind and patient. He did a great job! My car was broken into today and they really messed up the locks. Barack came out to my house on a Sunday night a fixed my locks and did so within an hour. Not only that, he was super nice and friendly AND gave me tips on how to prevent my car from future break-ins (it’s evidently a popular car to steal) and pointers on how to address my insurance company. Would highly recommend to anyone! Barak was amazing! We were stuck at a gas station because the key would turn. So we called Locksmith Monkeys and the came out in 30mins, it only took 5mins for Barak too make a new key and we were on our way!! Locksmith Monkey was great. I lost my keys to a Kia Sedona and Locksmith Monkey was the only locksmith I could find to make a new key with buttons, and for much less of the cost of going to the dealership. At first they didn’t have the right key FOB but they made me a regular key so I could drive home. Then Barack scheduled a time to come back to my house with the right FOB. So grateful I used them rather than the dealership. Locksmith Monkey did a fantastic job.We we’re visiting from out of town losr our car key on a Sunday evening Barrak came to our rescue, and had a key made for our car (VW Jetta) within an hour and onsite. He made a stressful situation an easy fix for us. 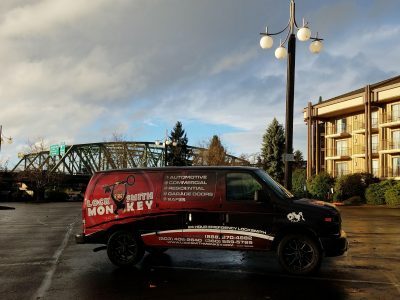 If you need a locksmith in the Portland area do not hesitate to call Locksmith Monkey. If you need a locksmith, these are the guys to call!! Seriously. They have GREAT services and the most friendly customer oriented service around. Something almost rare these days! The ease of my situation came off without any issues and from the time I called until my issue was resolved was just about an hour. I am thankful and glad I chose to have them help me. They really stand out from the rest. I think they are the best of the best in their business. I definitely will call again if I ever need a locksmith again. So stoked that I won’t be spending the night at my office tonight after one of my employees’ backpack was stolen along with his keys. I didn’t even think that there would be 24hour locksmiths available at short notice until my Controller said, “I’ll make some calls”. I’m chilling and watching Twitch while the Locksmith Monkeys are rekeying the building and cranking out several dozen keys. It’s a lesson my employees will remember, but I won’t have to remember it as that uncomfortable night sleeping on the company couch. Thanks, Locksmith Monkey! Locked my keys out of my car and West came out within 25 mins and had my car good to go within 10 mins. Awesome service highly recommend to anyone having the same issue. This is the second time I’ve hired LM. Our front door needed repairing, and Ilan came over in the evening and repaired it. Good price, friendly service. Highly recommend. My second experience with LSM today was wonderful! 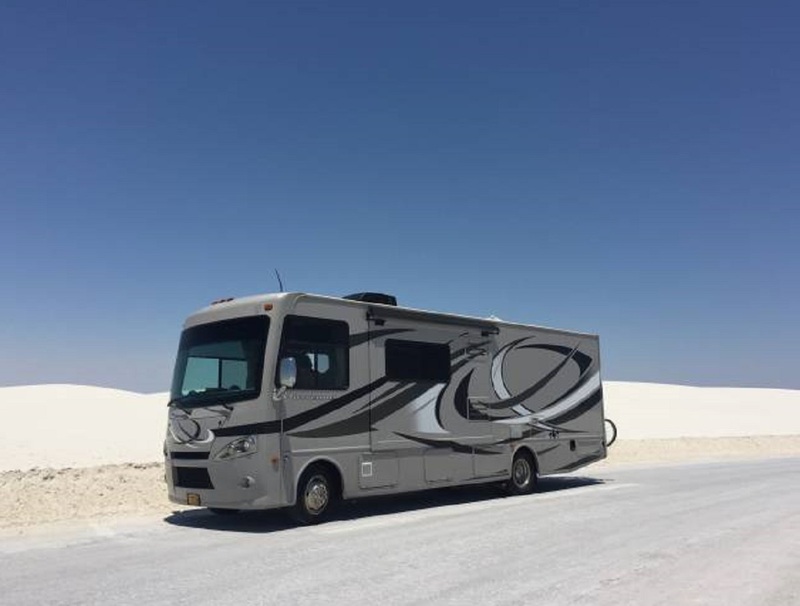 Timely arrival based upon the courteous call ahead of time, super-efficient repair process, charming character by the repair tech and overall satisfaction – AGAIN! LSM is certainly my go to contact for any future needs. Thanks again for the great care and customer service! Quick, easy, and very professional! Will definitely contact them again when I need help with being locked out! Thank You SO Much!!!!!!!!! Wes came out to my house, after I was locked got locked out. He was here within the time given to me on the phone and got me in in a timely matter. Having an epileptic dog who needed her medication this was very much appreciated. Thank you! Barak was very helpful when he came to get our car unlocked. I had a hard time finding a locksmith over the weekend and our car was stuck in downtown Portland since Friday night.. It was Sunday and I was frustrated and worried because other places said they couldn’t program our spare unprogrammed key since we had originally lost our good key. Service was fast and reliable and Barak knew exactly what to do with our complicated Lexus IS250. Thanks Locksmith Monkey! You saved us from a big headache and the price was great! Wes was over immediately and had my car unlocked for me in seconds. Excellent service, reasonably priced, all around great! I had a scary incident where my keys and wallet/id were stolen in the evening and I needed to get my locks changed just to be safe. they got out here quickly and were oh so wonderful both with the quality of their work but also just personally. We had a great chat and a couple of laughs and my crummy night was made a lot better. 10/10 would use again. Ilan was wonderful. Came out on time, got right to work and on a Sunday night, with very little notice. Thank you so much…your a life saver. Mobile, come to you which I love. Got new key in 10 minutes. Accommodating and professional. I just had Ilan out to replace 3 locks. He arrived on time. Installed 3 keyless locks. He was efficient and organized. “This guys are the best “, after making many calls to different locksmiths some witch could not be honest with the cost of the replacement of the lock on my 2006 Honda Odyssey ,the Locksmith Monkey came to my location and replace my lock and a replacement key in a jiffy , I definitely recommend this guys to anyone , they are friendly and they get the job done ! Thank you Barack for your help today with my ignition. I thought it was going to be a much bigger problem. I appreciation your communication and honesty I would recommend and call you again for future problems!!! Ilan GREAT service!.. Estimated wait 45 mins, were out within half an hour, gave him $5 extra, gentleman was honest enough to turn around and return it! Extremely appreciative of great service. I blew it by losing my keys but thankfully I found Locksmith Monkey. I was visiting my daughter and not familiar with the area. Thank you Wes for saving me from a parking ticket too. He was fast and Got me on my way. It was worth the money to make it to our dinner reservation! Thanks again Locksmith Monkey! I would not hesitate to recommend Ilan at Locksmith Monkey! He was prompt, friendly (even to my barking dog) and worked quickly with a smile! Excellent service within the hour of my call. I am impressed. No one could find the house key. ? I called Ilan and he asked me what time I wanted him there! I asked for 1 hour later and he arrived first! Fast, professional, very nice and did all the work from his van in front of the house. I won’t forget this name. Locksmith Monkey! iLan. West is great… quick, friendly and professional. He got the car door open quickly with no damage…. unlike the the last guy I used ..
Locksmith Monkey is the best! They were friendly on the phone and then when Barack showed up, the professionalism just got better and better! Barack found my somewhat hard-to-find apartment, showed up right on time, and had my door re-keyed like magic. I couldn’t believe how fast Barack had fixed the door lock! It was so fast I didn’t even notice he had done anything yet, and then he went to make new keys. When he got back with the new keys, I thought we had a misunderstanding and that he only made copies of the key I already had. He had me try the new key, and it worked, and then the old key, which didn’t work. He is so fast, friendly, and professional! I will definitely call Locksmith Monkey again and recommend them to everyone I know because of Barack. Thank you, Locksmith Monkey! Locked myself out of my room before a dinner with my family and these guys came out from Portland to Vancouver in less than 25 minutes during rush hour–a trainee, Wes, working his last “trial” before being certified to go out in his own fixed my problem in ten minutes. Quick service. Friendly. Low cost. Even with the rush hour fee. Hopefully, I don’t get locked out again but I’d call locksmith monkey first. 5/5. I called from a neighbors phone when I locked myself out at 11:00 pm putting out my garbage can. I had no coat or my cain so was feeling pretty desperate. Locksmith Monkey showed up quickly and opened my door with no damage to the door or lock. Can’t tell you how grateful I was for their prompt and friendly service. Ilan and West came so quickly, and got the doors open fast! Not only were our keys locked in our car, but the battery died. These guys jumped our car for us! Would recommend! Efficient and professional service. I received a phone call 15 minutes before the scheduled time of service, which was appreciated by me. Once Ilan (Elan) and other team member arrived, they went straight to work and was done within 35 minutes. Both were courteous and friendly which was a relief considering what I was asking them to do. The reasons for Rekeying is never fun, and I felt comfortable with their assistance. Thanks again! Such a relief! Barak did an amazing job! He showed up when he said he would and had my car key fixed in 10 mins! I have an 02 passat that gave me immobilizer issues and my key could no longer start the car. Barak got it done and at a very reasonable price! Extremely happy with the service and would highly recommend! Barak was a great professional. Very nice guy, easy to work with, and quick transaction. 🙂 would use again if needed! Locksmith Monkey changed my two door locks,Trunk Lock,and the ignition for 450. Better then having to go to the Toyota place where they sell the cars and pay a fortune. Very prompt and professional. 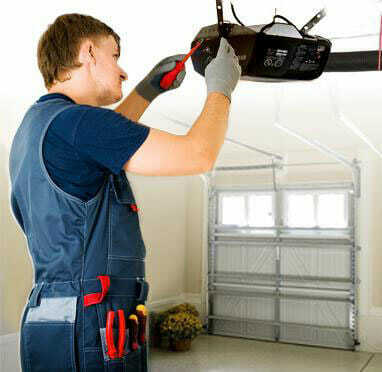 I would highly recommend for their quickness and superior work at a fair price. Very nice people as well. Ilan was wonderful and reds cars! Thank you for helping us and our Lexus. Those cats have hard safety! You’re funny and you’re smart! Thank you! They weren’t far away, and it took no time to get into my car. Although the original price was not what was advertised, they were able to resolve the issue. My brother needed a copy of his car key and they were the fastest to respond. The service was incredibly friendly and efficient and beyond affordable! The price was exactly what they quoted me so I don’t understand when people say they were overcharged. He was very transparent with the price and it was the cheapest in the area. I was very impressed and I definitely recommend this locksmith!! Just had Barak program my truck key, much cheaper than all quotes and brand new OEM parts. He was polite, professional and showed on time (actually a little earlier). Worth the money! Locksmith Monkey was amazing! He helped me with a big property management disaster where I needed 5 houses and a business all rekeyed in the same day for safety reasons. He worked until 10pm to get it all taken care of for me. I don’t know what I would have done without him! 5 stars for Locksmith Monkey, and Barak, the Community Life Saver!!!! Thank you for arriving as quickly as you did, doing the job in a matter of seconds, and saving us some money with a good deal. I am so happy with the outcome, and will never forget that day. I appreciate you. These guys are really good. Was to my apartment within 15 minutes. K had me inside my apartment in about 5 minutes. Very professional and would recommend to anyone. These guys are Honest Honest Honest…and know what they are doing even with smart keys and programming. This Guy Honestly is the best. ALWAYS Saves The day When Anything goes wrong With An ignition. Happy I Have Your Number. I recommend This Guy for anybody That has Car Issues. Thank you For Saving The Day Every Time! Had my house re-keyed by Locksmith Monkey. Ilan was available the very same day that I called, which added piece of mind. He is professional, has a jovial personality and proud of his business. He walked around the house with me and inspected each lock first to determine the type of lock and number of cylinders each had. Then he and his assistant went right to work replacing the locks and were efficient with time. I am very happy with their service. Locksmith Monkey arrived within thirty minutes of my call and unlocked my front door in just a few short minutes. I was very satisfied with my experience, from start to finish. 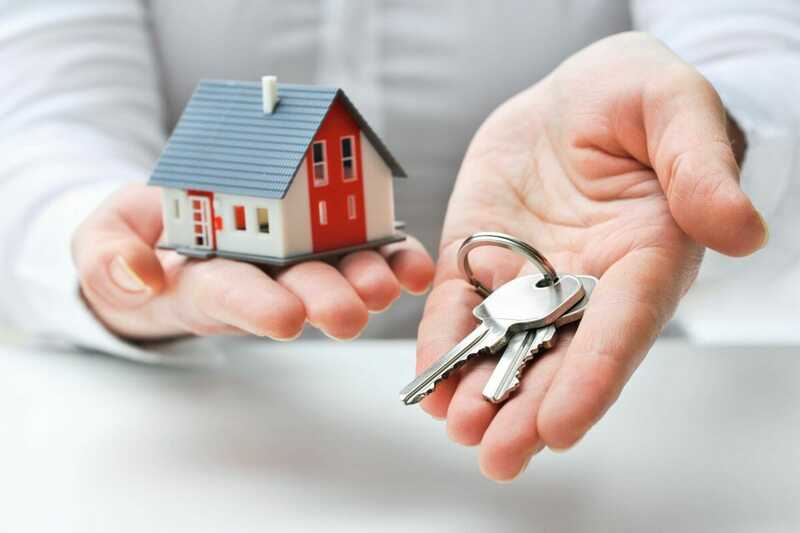 The price was perfectly reasonable given the quality and expediency of the service performed, and I will absolutely use Locksmith Monkey again if the need arises. Locksmith monkey, I would definitely use them again. I received same day service for a fab key. It was much better value and time saving then going to a dealership. We went out on New Year’s Eve to celebrate and when we came back home around 3am we found out the someone have Brock into our house we were devastated! We called locksmith monkey and they came really fast! Not only that they were kind and understood the situation! The Technician calmed us dowel changed all the locks fix the lock that the thieves broke added more lock on the spot and made us feel safe and secure after that horrible experience of someone invading our private property so thank you very much Locksmith Monkey for helping us so fast! They even gave us a discount even though it was New Year’s eve and it was 3 AM! I called locksmith money when I discovered the truck I just bought had a lock on the hitch. I needed to use the hitch in the morning. I called at 8:30 pm and they had Ilan come to my home he had the lock off in 10 minutes. I highly recommend locksmith monkey. They know there business. My life saver is BARAK from LOCKSMITH MONKEY!!! I own a mini coup’ and from The day I bought the car I had only one key and always kept it safe. Just for the simple fact to make a copy of this key with the bottoms on the top cost a fortune at the dealer store. But as you know sometimes when you save on one side you’re spending more on the other and here’s my story. On Friday evening my wife I went out for a beer in downtown Portland by the river. My wife first it was right next to us the whole time disappeared along with my wife on and guess what my only key to my car. First thing on my mind was how I’m getting a key for my car late Friday night not just that it’s a mini coup which is gonna cost a lot. Just because the car is manufactured by BMW and a security system all very sophisticated one. I already knew it’s gonna be a problem to find someone that can make that key. but only when I start calling in to all the locksmiths over here on yelp and Google as well. I Realize it’s gonna be really tough to taking care of this evening. So me and my wife took a cab and went home got up in the morning and realize if I’m not moving my car it’s probably going to be towed. I spoke with Locksmith Monkey and he said he can do it a little bit later on and in order for me not to have my car being towed maybe I should do it myself. And he was willing to come wherever the car is and walk on the radio. I have a buddy with it call trailer not help me go and pick up the car from there and park it in his place in the meantime until Barak from locksmith Monkey can come and create me a new key for my mini Cooper. Barak come to work on my mini Cooper at my friends backyard with the car on the trailer as you can see in the pictures. The price was already negotiated and I know how much I’m paying. I can tell you that the service was mobile and I was extremely satisfied from the work and Professionalism. He have all the machines, computers and tools to do that right on the spot. The price that we agreed for was including the lost Key and second set spare one in addition. Barak easy to work with very pleasant service. I will recommend Locksmith Monkey in any chance I have, and will forever use them in the future. Got locked out of my car when I was coming home from school. I couldn’t find anyone open that late at night until I found these guys. They came right out and had it open in two seconds. Highly recommended! Their mobile service is a god send! Super appreciate how polite and quick they are. Thank you so much! These guys are incredible. They arrived to my location within 30 minutes. Cut a key from absolutely nothing and it works perfectly. They are professional, do not waste anytime, and perform high quality work. Would absolutely use their services again. Ilai at Locksmith Monkey came out very quickly and got me fixed right away with no damage. He also didn’t judge me for being an idiot, and was very friendly. Friendly, efficient, and service arrived insanely fast. Ilan really came through in the pinch. I lost the keys to my grandma’s car and called Locksmith Monkey, they were there quick and prompt to help me get out of the situation! They even gave me a student discount! Thank you so much guys, you’re the best. This locksmith company is amazing. They are fast and friendly and know what they are doing. You couldn’t ask for better service. So if you lock yourself out of whatever locksmith monkey is there to unlock it for you. I’ll never call anyone else! Thank you lock Smith monkey for being a fast and efficient service.I think it’s awesome that you guys provide a mobile service ! Keep up the great work. You guys rock. Excellent response for my situation. I got in to a gas station after a long day at work. Got out for a second and got my keys locked inside my Silverado truck. Called Locksmith Monkey and I got help in less then 20 min. Price was right and I was on my way in no time. Very recommended service. Super prompt. I called at 8 PM on a Saturday, locked out of my house basically the week before Christmas and he was at my house in less than an hour. If I ever have to use a locksmith again, I know who to call. Thanks so much!!! My keys got swiped at the 24 hour fitness. These guys came out late at night and had me back on the road in no time. Didn’t catch the guys name but the dude with the long hair is badass. Would recommend to friends. Dude was super rad and mad helpful. I almost paid a different mobile mechanic to replace a bunch of unnecessary parts and then he saved my life for a cheap price. The 40 year old lock on my door gave out on my front door and I couldn’t get in . The locksmith got to my place in 43 minutes of calling and had the door open in 15 minutes and was friendly. Absolutely great service and prompt arrival. Called on at noon on a Saturday and had 4 new locks by 4pm. Courteous and efficient. I will definitely call again should I need any lock or key work. My elderly uncle traveled with my family for the holidays and when we returned he had lost his only keys for his car. After being told by three other “locksmiths” that I found online that it was impossible to make a key for his vehicle, I called Locksmith Monkey. On the phone they were very friendly and told me that they could send someone out within the hour. Their locksmith, Barak, arrived and told us he would have it done within 30 minutes. I was skeptical because so many others said it could not be done. 20 minutes later the key was made and my uncle had his car started. Thank you for a job well done. Recommended by building as I am a new resident. Very Prompt. Very Professional. Tech was also a nice guy! Highly recommend. Very easy to deal with. They followed up on any details and accepted my credit card with a smile right on techs smart phone. My 2009 Honda Fit has a uniquely Honda on the drivers side door that required the lock to be rebuilt. Called one local place and they wanted me to drop the car off for 4 hours or so. Locksmith Monkey came to my house and fixed it in about an hour for a lower price thanks to their Yelp coupon. I set up the appointment via Yelp message, which was convenient. But they were about 45 minutes late. Would have given them 5 stars if the had been more prompt. Still recommend their service. Especially with their coupon! This was a super easy solution for a stressful situation. He came out on a Sunday short notice to free my trapped keys from inside my car! And took a check. Thank you! I have had three encounters now with Ilan at Locksmith Monkey and can honestly say that he is highly reliable and efficient and extremely experienced and good as what he does. He got me into my house when the keys got locked inside on August 14, 2017 and then later the next day came out and rekeyed/changed all the locks. Then today August 29, 2017, I called him due to locking keys in the car. Once again he was super efficient and quick to help. His customer service skills are exemplary and beyond reproach. I highly recommend this company based on my interaction with one employee Ilan. Thanks Ilan and I will be calling you again next time………. I was locked out, with melting groceries on my porch. He arrived quickly and got me in my house, before my groceries spoiled. I hope I do not need to use the service again, but this will be the place I call if I do. *EDIT I did end up needing them again and they were even faster the second time. I recently had my house broken into and called Locksmith Monkey based on the Reviews. Representative answered when I called the business number and asked me to send photos of the kicked-in door so he can transfer it to Ilan ( locksmith guy) . Ilan called back within. 20 minutes and said it didn’t look too bad and said he could be there that day to fix it. He repaired the door, reinforced it, and added high-security locks. The next day he did the same with the other two exterior doors. Ilan was very helpful and knowledgeable as I didn’t know what options were available to prevent break-ins. I assumed that since I had an alarm system and sign, that thieves wouldn’t break-in. I was wrong, but luckily the alarm went off and scared away the intruders and nothing was stolen. Since I was at work and had to leave suddenly despite trying to finish something that day for a deadline, this break-in was very inconvenient and shocking, needless to say. I’m glad I called Ilan and got these new locks and reinforcements, although I should have got them when I moved in. But together with the alarm system, I feel more secure knowing that it is unlikely to happen again. I would recommend Ilan to anyone needing a locksmith in general and also to anyone who owns a home because if you have regular locks and un-reinforced doors you are at risk of break-ins even if you have an alarm system/sign. I locked myself out of my house on Father’s Day– the same house I was supposed to be preparing dinner and getting ready for the day’s activities for my Dad. I called Locksmith Monkey panicked, and was told they could be there in 35 minutes. 30 minutes later, Ilan was at my house, and five minutes later, my door was open. He was so kind and professional, and as I found out, is a father himself who came to help me on his own day. I can’t recommend him and his services enough, and am so thankful out of all the Locksmiths in Portland, I called Locksmith Monkey! Thank you, Ilan!! I could see my car key in the ignition, and my remote entry was broken! I reluctantly called this locksmith, and they were great to work with! Barak came out promptly, tried to fix my remote entry at no extra charge (broken beyond hope). He gave me helpful information about my key, and replacing my remote. He had the door open in about 10 seconds. He was super friendly! I would recommend these guys to anyone. They made me a key for a Land Rover. When all the others said they couldn’t do it. I would recommend them to anyone who has a key or lock issue. Great and prompt service. Great job guys and thank you very much. Ilan was able to come out to Aloha and fix a 1937 Mortise lock that had been less than expertly taken apart and incorrectly put back together. He worked with what was original and didn’t try to sell us all new door hardware like others had in the past. Fast friendly service at a reasonable price. I called at 3:15, someone was here as we scheduled by 4pm. The service was friendly, quick, and was a great price! Thanks! This is an amazing company. He came to us at the mall quickly after he got done with his previous client, dealt with us not having the full amount, was smiling and professional the entire time, he joked around and inquired about us as human beings not just as clients. He also gave us different key options. Great company and good people. I called Locksmith Monkey after work this evening around 7 PM to inquire about having locks changed on two doors of my home, not thinking they would be able to come out the same night to complete the work, since it wasn’t an emergency. They told me on the phone locks would start at $25 per lock and go up from there depending on the type of lock, (which they’d have to see in person to quote me), so I expected the price to be around $100 or more since I had 4 different lock pieces to change. They said they could have someone at my house within an hour or so, and only a few minutes later I received a call from the technician that he was on the way. They were super friendly, very helpful and informative. The tech even took the time to explain the different locks to me and how they each work, and demonstrated that they only used brand new equipment and cut brand new keys each time, unlike some other companies who reuse people’s old ones inner locks and keys. I feel safer and am so happy I called on a whim just to inquire and they fixed me right up in under an hour. Locked my keys in the car, so I googled locksmith near me, and they come up first in the list. Taylor was the tech to arrive in 25 min since I placed the call. Very prompt/quick service, I got a small discount for cash transaction and I’m very satisfied with the service. 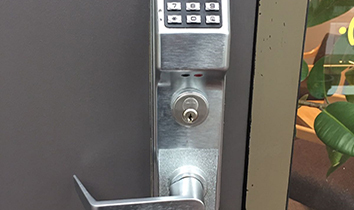 I had a great experience hiring Barak at locksmith monkey to replace a lock on our main entry door, and rekey the rest of our home. He was professional, friendly and quick. His prices are fair and he is upfront about any issue he could run into when preforming his work. I would definitely call locksmith monkey and Barak for any locksmith job in the future. Please enter your Job Title or Website address. Please select the Category that best matches your Testimonial.